Friends of Sam Smith Park: OWLS IN SAM SMITH PARK - PROPER ETIQUETTE FOR VIEWING AND PHOTOGRAPHING. OWLS IN SAM SMITH PARK - PROPER ETIQUETTE FOR VIEWING AND PHOTOGRAPHING. Winter is a great time for the chance of seeing migrating owls at Sam Smith Park. 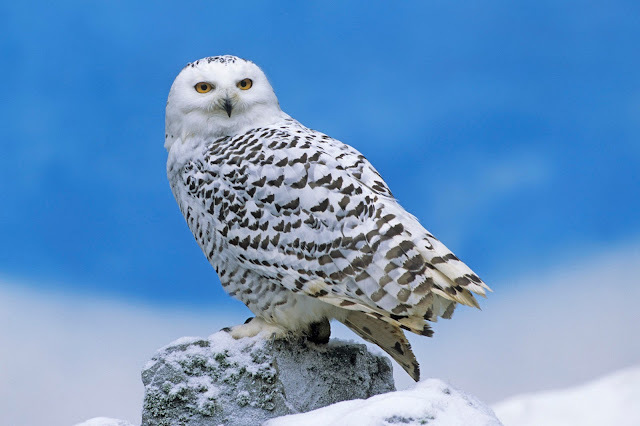 Over the years, a number of different species have been seen – the Northern Saw-whet Owl, the Long-Eared Owl, the Eastern Screech Owl, the Barred Owl, the Great Horned Owl, the seldom seen Short-Eared Owl and, of course, our most anticipated visitor, the Snowy Owl. But, it is extremely important to understand owl viewing and photography etiquette. These special creatures are large, intelligent, and they are well aware of your presence and actions. Please take extreme caution to not disturb birds even if that means missing out on a killer photograph. The birds are more important. Repeat: The birds are more important. The undeniable fact is that a flushed owl is a stressed owl. No matter what your intentions are, your actions can be detrimental to the well-being of the bird. During the day, roosting owls are resting, hiding from potential predators, preserving energy and preparing for the evening hunt. There is really no good way to get close to a roosting owl without stressing it out and decreasing its survival chances. If you come across a roosting owl, take note of the bird’s posture and behavior. This one is quite easy: A SLEEPY OWL IS A HAPPY OWL. If the owls’ eyes are open, that’s a bad sign. Does it look relaxed? If the owl is doing its best to look exactly like a broken-off trunk or tree limb, with sleeked-down feathers and stiff, skinny look… it’s trying to hide from you! You’re causing it stress, and its next move is to flush and risk discovery. You need to back off. The owl is concerned that you discovered it, and that you’re taking such an interest in it. Immediately look away, slowly back off, and walk away. Snowy Owls are magnificent birds that always attract considerable attention when they visit Sam Smith Park in the winter. Enthusiastic observers and photographers need to remember that these birds are already stressed by hunger and cold temperatures, so it is important to resist the temptation to get too close for a clearer look or better picture. Snowy Owls, often inexperienced young birds that hatched the previous summer, wander south during the winter months when food is scarce in their Arctic habitat. The southward journey and cold temperatures require a lot of energy, as does finding prey in unfamiliar territory. Human disturbance can add significantly to their energy demands. 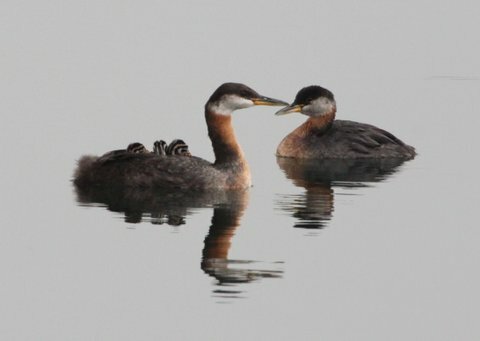 The effects of disturbance can be obvious – causing a bird to “flush” or leave its perch – or invisible – making a bird too nervous to leave the safety of a high perch to pursue prey, or increasing metabolism and stress hormones. While a single incident may not be life threatening, the cumulative effect of repeated disturbances, which are likely to occur when an owl perches in highly visible, public locations, reduce the likelihood that they will survive to return north to breed. Observers and photographers should practice good ethics by keeping a respectful distance from any bird. In general, if the bird reacts to your presence, you are too close. When the bird starts staring at you, you’re close enough and it’s time to back up. For birds on the ground this is about 100 feet. Flushing the bird is direct interference with its roosting and foraging behavior. Seeing a Snowy Owl is a rare privilege. Set a good example for others by following and sharing these guidelines, and have a wonderful Snowy experience! If you see someone not following the correct etiquette, please explain to them the effect of their actions. Be courteous – they may not be aware of the effect they are having.